Black label with silver text. "Stereophonic" logo at top. No "R" after Verve Records, and no "MGM" below. 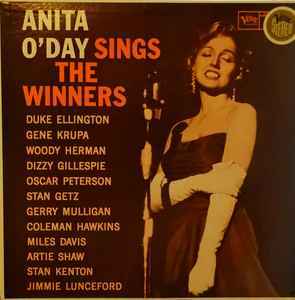 Same label as r8411100], same front cover as Anita O'Day - Anita O'Day Sings The Winners, but different catalog number than both. Catalog number MGVS 68283 on back cover and spine. MG VS-68283 on labels.